So is this the under water army or something?Â And why does it look like the first guy is wearing heels? how do you know they are Russians? 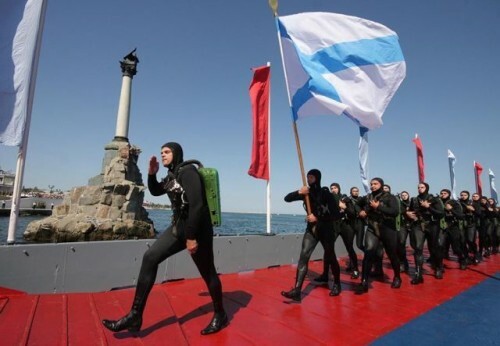 That’s the St. Andrew’s flag of the Russian Navy. This would be epic if they were all wearing flippers.